The great unity is a precious tradition forged in the process of national construction and defense, which serves as the main driver of the Vietnamese revolution. Chief among hostile forces’ sabotage activities is to undermine Vietnam’s great national unity block through the “peaceful evolution” strategy. Against this backdrop, effective measures for consolidating the great national unity block becomes a matter of urgency. Over the past years, in the face of the country’s overwhelming odds, under the leadership of the Communist Party of Vietnam (hereinafter Party), the block of great national unity has been increasingly consolidated. The 12th Party National Congress asserted: “The Vietnam Fatherland Front and mass organizations have seen many innovations in their activities in terms of both contents and forms, further promoted their role in rallying and building the block of great national unity, joined the Party and State in taking care of and protecting the rights and lawful and legitimate interests of the People, participated in the State management and social management, frequently organized patriotic emulation movements and campaigns, thereby positively contributing to the country’s overall achievements. However, the strength of the great national unity has yet to be consistently upheld; the role and strength of the People has not been increased yet. Assessments and forecasts remain inaccurate concerning developments in the social structure, views and aspirations of the People from all social strata, which effectuates the Party’s sound lines. The Party’s lines and policies on the great national unity, the rights and lawful and legitimate interests of castes and the People from all social strata have yet to be either institutionalized or properly implemented”. Nowadays, complicated and unpredictable developments at home and abroad afford both opportunities and challenges to Doi Moi in general and consolidating the block of the great national unity in particular. Exploiting Vietnam’s open-door and integration process, hostile forces have incessantly stepped up the “peaceful evolution” strategy, incited secessions and ethnic division, undermined the great national unity, dug deep into contradictions in order to provoke social conflicts, thereby effecting socio-political instability. In doing so, they are exerting themselves to divide the Party and State from the People, to pit the former against the latter, to provoke religious and ethnic divisions, to undermine the alliance of the working class, the peasantry and the intelligentsia, to incite defiance and to erode the strength of Homeland protection to the detriment of national security and social order and safety. These pose challenges to our “Strategy for Homeland protection in the new situation”, cause of national security protection, and social order and safety. Against this backdrop, a number of measures to be taken are as follows for the sake of the consolidated great national unity. First, enhancing communication shall be pressed ahead with for the sake of heightened public awareness of the necessity for the strengthened great national unity. Late President Ho Chi Minh once taught: “The great unity is an extremely precious tradition of our Party and People. Comrades from the central to grass-roots levels shall preserve intra-Party unity exactly the same as your eyes’ pupils”. “Only by uniting as one can the Vietnamese people gain independence and freedom. On the contrary, disunity facilitates foreign aggression. Therefore, we shall unite, rapidly unite, and firmly unite to the fullest”. The communication work shall enable the People to be imbued with his aforementioned teachings. 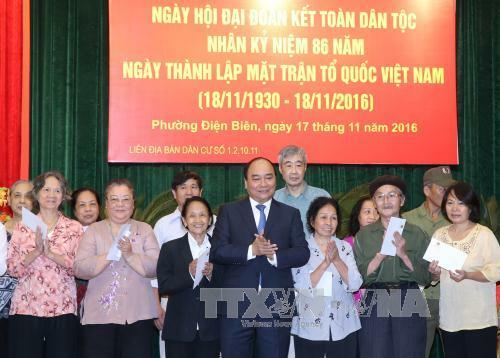 Moreover, firm grasp shall be gotten of the Party’s line: “The great national unity is a strategic guideline for the Vietnamese revolution, a main driver and an important resource for building and protecting Homeland. The consolidation of the great national unity block is based on the alliance of the working class, the peasantry and the intelligentsia under the Party’s leadership”. The consolidated great national unity block necessitates the common denominator of all social strata being determined, the strength of all the components of the Vietnamese people being rallied to achieve the goals of the Homeland's peace, independence, national unification and territorial integrity and of “a prosperous people and a strong, democratic, equitable and civilized country”. The public shall be fully aware that the great national unity block is comprised of all the people living and working at home and abroad who are of Vietnamese descent without distinction of any kind as to ethnicity, religion, property, gender or age. 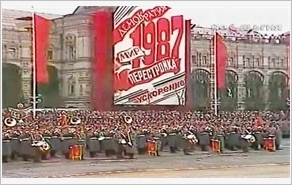 “We unite with anyone with talent, virtue, and willingness to serve the Homeland and the People” in order to achieve the goals of the Homeland's peace, independence, national unification and territorial integrity and of “a prosperous people and a strong, democratic, equitable and civilized country”. Second, the Party’s leadership and State management shall be enhanced while the institutionalization shall be pressed ahead with of the Party’s lines and policies on the great national unity. This is a matter of paramount importance as to the consolidation of the great national unity block. The Party’s leadership is well represented through its lines and policies while the State management is associated with the legal system, thereby ensuring the unity of interests, will and action of all social strata, especially among the working class, the peasantry and the intelligentsia. The Party and State shall ceaselessly improve, institutionalize and concretize their system of lines, policies and laws in order to guarantee that “all the State power belongs to the People”. Accordingly, the People can express their aspirations through the Vietnam Fatherland Front and mass organizations and implement their right to mastery. Misconduct shall be fully redressed concerning the implementation of the Party’s lines and policies and the State’s laws. Legal documents, mechanisms and policies concerning ethnicity, religion and social welfare shall uphold the strength of the great national unity. At the same time, special attention shall be devoted to war invalids, war martyrs’ families, and revolutionary contributors so that they can surmount their difficulties and actively participate in national construction and defense. The People have the right to discuss and propose to State agencies the country’s important issues. The Regulations of Democracy at the grass-roots level shall be widely popularized and better exercised so that vexing social problems can be effectively dealt with. Party executive committees and governmental administrations at all levels shall regularly be receptive to the People’s opinions and deal with their legitimate requests while placing trust in the People and according them respect. Third, interest relations among social strata shall be properly handled while individual, collective and social interests shall be harmoniously combined. “The great national unity shall be based on harmoniously handling interest relations between members in society, protecting rights and legitimate interests of the People, ceaselessly improving the People’s spiritual and material life, and ensuring the across-the-board enjoyment of benefits from Doi Moi”. Rights and legitimate interests of the People shall be increasingly protected while their spiritual and material life shall be ceaselessly improved, especially ethnic minorities and residents in strategic, remote, border and island areas. Those who have rendered meritorious service to the country shall be honoured while preferential treatment policies shall be adopted to attract talents. Businessmen with great contributions to the country’s development shall be honoured. “Barriers and prejudice against the private sector shall be removed; favorable conditions shall be created for the private sector to develop in a healthy manner and in the right direction. The private sector’s positive aspects beneficial to the country shall be brought into play”. The introduction of appropriate mechanisms and policies shall be continued to facilitate the young generation to learn, research, work, entertain themselves and develop their physiques and minds to serve the country. The policy on gender equality shall be effectively implemented; favourable conditions shall be created for women to develop comprehensively and to advance their role in society. Policies on belief and religion shall be furthered developed so that cultural and moral values of religions can be promoted. Policies shall be adopted to help the overseas Vietnamese enjoy a stable life and economic development, contributing to enhanced cooperation and friendship between our People and peoples of other countries while facilitating them to return to the Homeland to contribute to national construction and defense. Fourth, close relations between the People and the Party and State shall be further enhanced whereby the great national unity block can be bursting with new vitality. Playing a key role in rallying and mobilizing the People, the Vietnam Fatherland Front shall press ahead with innovating its activities in terms of both contents and forms, staying close to the grass roots, paying due attention to legitimate interests of the People, and serving as a bridge between the Party and the People, thereby contributing to closer relations betwen the Party, the State and the People and enabling the “Party’s will” to always match the “people’s hearts and minds”. Enhancing communication shall be pressed ahead with in order to raise awareness, a spirit of self-reliance, self-resilience and national self-respect and a sense of patriotism among the People associated with the country’s interests and socialism building. The role of the People shall be brought into play in making Party executive committees and governmental administrations strong and in achieving social consensus. The People of all social strata shall be mobilized to surmount difficulties and steadfastly stick to the renewal guidelines led by the Party for the sake of the country’s development. Fifth, erroneous and hostile viewpoints shall be resolutely rejected. The Party executive committees, the Vietnam Fatherland Front and its member organizations shall actively popularize hostile forces’ sabotage plots to undermine the great national unity for the People from all social strata. This will effect their increased awareness of, heightened sense of vigilance against and dogged fight against misleading viewpoints. The effective implementation of the aforementioned measures will contribute to consolidating the great national unity block, thereby facilitating firm national construction and defense in the new situation.